Box office sales for blockbuster movies sort of set the scene as far as sales go for independent movies. The less independent movies are supported, the less they'll be produced for our viewing pleasure. Since the new year has begun, it is officially safe to say that Oscar season is upon us. If you are anything like me, you are using the next month or so to get a head start on seeing movies before official nominations come out. While you may be tempted to watch the contenders in the comfort of your own home, consider otherwise for the following reasons. One main reason to spend $8 on a movie ticket is to support the film industry. Sure, this multi-billion dollar Hollywood industry probably won't hurt if only a few of us illegally stream movies online, but that is still counterproductive. Box office sales for blockbuster movies sort of set the scene as far as sales go for independent movies. The less independent movies are supported, the less they'll be produced for our viewing pleasure. Therefore, it is crucial that we support local theatre who play these movies to keep them in business and expand our movie-going options. Your small laptop screen will never be able to replicate the feeling of being inside a movie theatre. After all, movies are crafted with the intent to be shown on a large screen. With the lights dimmed, larger than life screen, surround sound, and the smell of popcorn, nothing can compare to the experience of sitting inside a cinema. When you pay for a movie ticket, you're paying for a whole experience. Although many people in Hollywood who work on blockbuster movies seem to be out of touch with a lot of our realities, this is their jobs that they deserve to be paid for. If everybody stopped going to the movies completely and started illegally downloading these flicks instead, the film industry could become extinct. Do what's right and sludge on a night out at the movies. Despite Clark Kent's glasses being a trope carried from the original Superman comics, writers tried to strengthen the argument that the glasses could shield his alter ego. While Clark Kent's talents lie in writing and reporting for The Daily Planet. Superman spends his time saving the citizens of Metropolis using his Kryptonian abilities, which includes impenetrable skin, super speed and strength, flight, super breath, heat vision, x-ray vision, and super intelligence. There are also times in the comics where he gains new abilities but they are usually temporary. Despite not using a disguise, most don't often see the connection between the two and here is why. This is the most popular theory (given in the 1980's) as to why none recognizes Superman's dual identity. Most know that Superman is Kal-El of the planet Krypton, son of Lara and Jor-El. While Clark Kent grew up the son of Martha and Jonathan Kent on a farm in the town of Smallville, Kansas. Due to the public knowing his real name (birth name) and not wearing a mask of any sort, civilians assumed that Superman didn't have a civilian identity. Therefore, if someone did see the similarities between the two, one might simply reason that Clark Kent looks a lot like Superman. Despite Clark Kent's glasses being a trope carried from the original Superman comics, writers tried to strengthen the argument that the glasses could shield his alter ego. For instance, in the 70's, the glasses were once said to have been made of Krypton material. This material lets out a small dose of hypnosis that created doubt in Clark Kent being Superman. But this reason was quickly dissolved due to it creating more problems than solutions. 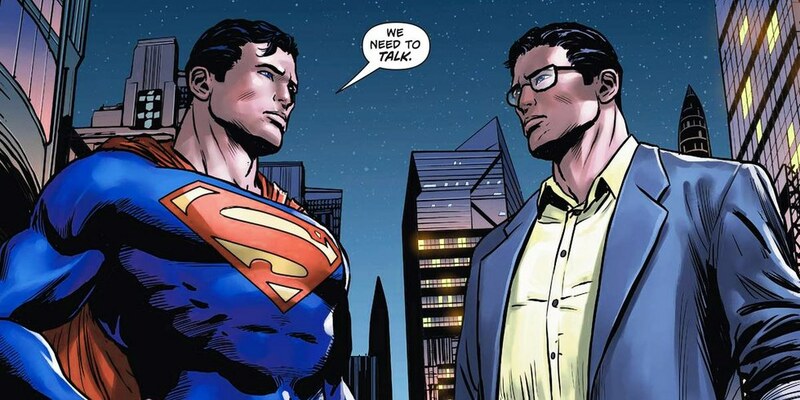 However, in 2004's comic Superman Birthright, the glasses were once again used. 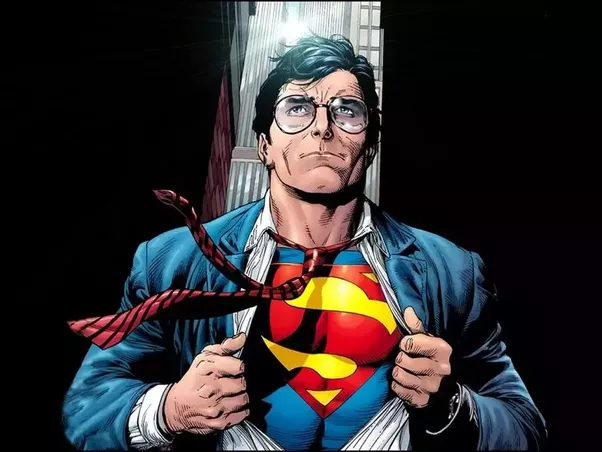 This time, it was said that the glasses diffused Superman's unique blue eyes into a glass vivid gray color. Despite Lex Luthor finding out about Superman's identity multiple times, there are few in which he denied any connection between Clark Kent and Superman despite evidence to the contrary. For instance, once Lex Luthor built a machine that allowed him to find out Superman's secret but opposes because he couldn't believe someone as powerful as Superman would be comfortable pretending to be as weak and feeble as Clark Kent. Much like Lex Luthor, many people who can see the differences most likely think Superman is too mighty to pretend to be clumsy Clark. While taking the precaution of vibrating his face at super speed and standing farther away when photos are being taken, Superman also made sure to keep his identity secure by having Clark Kent and "Superman" be in the same place. For instance, in the Silver age Comics, robots were used to protect his identity by showing up next to Clark Kent. In addition, both of Superman's Justice League members Batman and Martian Manhunter dressed as either Clark or Superman to help him. 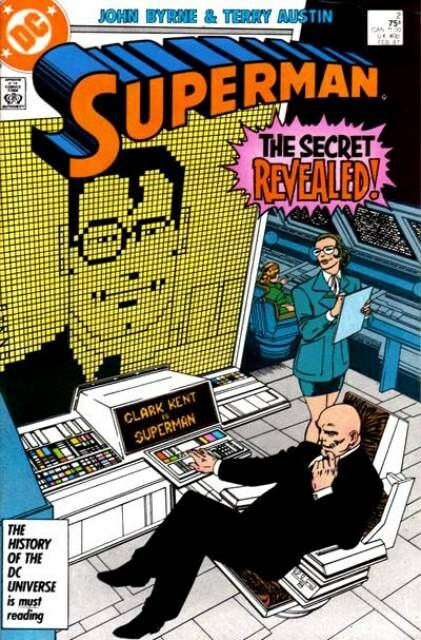 Matrix even posed as Clark Kent to provide a reason as to why Clark disappeared when Superman died for a brief time. 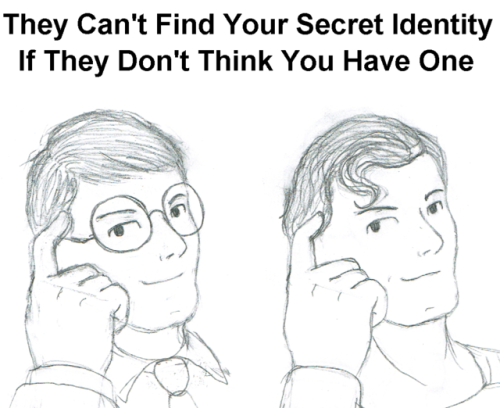 The most popular behind the "no secret identity" theory is the original notion that people don't notice the similarities between the two because they are also so many differences. 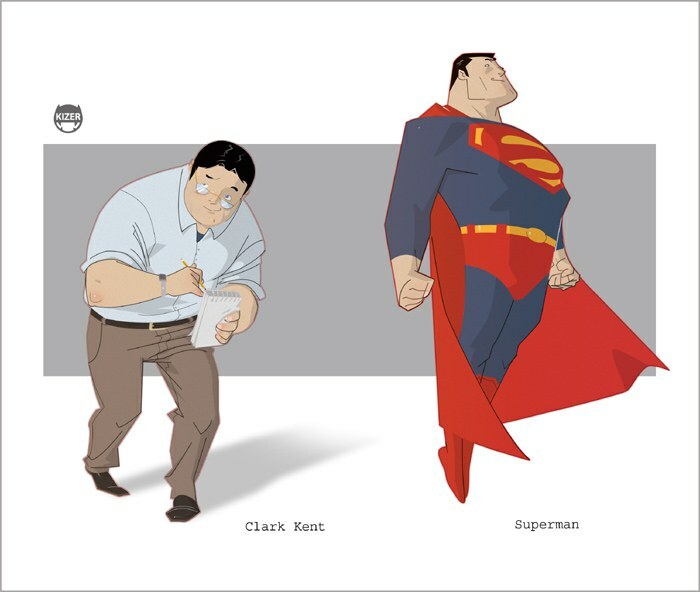 In both the comics (and the movies, specifically the acting of Christopher Reeves), Clark Kent's posture is slouched, he becomes clumsy and more of a pushover. And while Superman's voice is deep and assertive, Clark is timid and his voice shifts to a higher octave. They behave like separate beings and so for the very few people that know both Clark Kent and Superman, it would be hard to disregard their attitude and behavioral differences simply because they look similar.